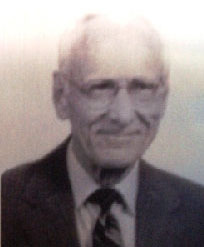 He moved to Waycross and began high school in 1936. He was a three-year letterman in football for Coach B.W. Rushton. The 1937 team won the District Championship and they played Moultrie for the South Georgia Championship. The first game ended in a tie and Moultrie won the second game and became SGFA champions. In his senior year 1938-39, Carroll scored nine touchdowns for the Bulldogs and was named to the All SGFA team. His versatility extended to the basketball court where he earned three more athletic letters. His sophomore and junior years, he was starting forward for Coach J. M. Hulling and he played in the District Tournament. His senior year (1938-39), he continued to be a starting forward and led the team in scoring. Under the tutelage of Coach Wright Bazemore, Carroll played in the District Tournament and was voted to the All district Team. His crowning achievement was his success in track and field. His skill and exploits in both the running and field events brought him three more coveted letters giving him a total of nine athletic letters in high school. In 1937, under Coach Joe Jardine, he won the 8th District discus title and competed in the hurdles, shot put, relay and high jump. The 8th district team went on to win the state crown. In 1938, he won the 8th District discus championship again and was a member of the winning half mile relay team. The 8th District team won another state title. He won a third consecutive 8th District discus championship in 1939. His performance on the the half mile relay team helped win the district and state titles. It was the first relay team in Waycross history to win a state championship. He came in third at the state meet in the discus as the 8th District team won its third straight state championship. He was president of the Waycross Touchdown and Okefenokee Track Clubs and long time volunteer coach for Coach Leroy Herring’s Waycross track teams. The Hudson family is one of a very small number of third generation Waycross Bulldogs. After Carroll came son Steve ( a 1998 Hall of Fame Inductee) and then Grandson Dustin, all of whom wore the Red and Black with distinction. Carroll was married to Charlotte Lovett and their children are Jan Hudson Lanier and Steve.